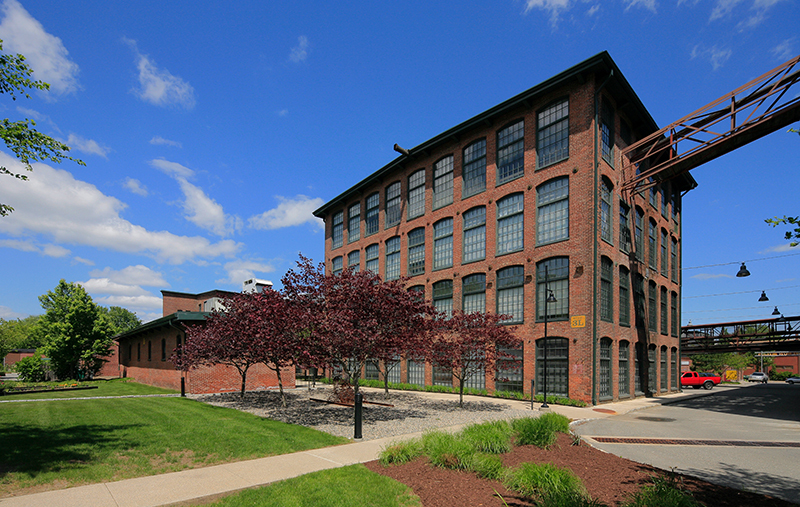 Providence, RI On behalf of The Armory Revival Company (TARC), CBRE/New England completed three leases totaling 40,000 s/f of space at Rising Sun Mills. Combined with upgrades made at the buildings by TARC, this leasing activity further advances the repositioning of the property as an office portfolio in the Woonasquatucket River corridor in the city. At Rising Sun Mills, TARC signed three office leases including GZA Geo Environmental, Inc., a leading geotechnical engineering firm with over 550 employees in 26 offices; EpiVax, a Rhode Island-based biotechnology company with clients worldwide; and Bisbano + Associates, Inc., a 25-year old architectural firm with a national client roster. CBRE/NE’s Andrew Galvin represented TARC as the exclusive leasing agent of the property. CBRE/NE’s John Butterworth represented GZA Geo Environmental. Located at 166 Valley St., Rising Sun Mills is a 313,000 s/f mixed-use complex with 135 residential units and 130,000 s/f of commercial space originally developed by a partnership of TARC and Baltimore-based Struever, Eccles & Rouse. Rising Sun Mills is accessible from Rtes. 6 and 10 as well as I-95. The campus has 135 loft-style residential units and offers office tenants a parking ratio of 4 per 1,000 s/f. The well-landscaped site features a waterfall, walking and bike paths along the Woonasquatucket River that also includes a fish ladder and kayak launch.